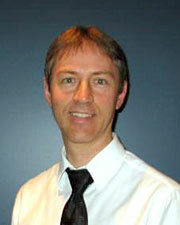 I am a 1988 graduate of the UBC Faculty of Dentistry and also hold a Bachelor of Science (B Sc) degree in Cell Biology. I worked in Vancouver for one year prior to arriving at Dove Dental Clinic in 1989, with a vision of growing with and serving the Surrey Guildford community. I take pride in knowing our office provides excellence in all forms of general and cosmetic dentistry while doing our best to make your visit as comfortable as possible. To maintain a current working knowledge of dentistry I attend over 40 hours per year of continuing education. I am currently a member of the Vancouver and District Dental Society, the Cerec Study Club, and a past member of the Richard Tucker Cast Gold Study Club. I also attend various individual lectures and seminars throughout the year. My time away from the office is primarily focused on my family. My wife and I have been married for fourteen years and we have two girls. I feel very blessed to have such a great family. I am fortunate that most of the staff working with me have been here since I started at Dove Dental Clinic. Over 10 years ago my sister, a fellow dentist and UBC Graduate, also joined the practice. As a result, we have been able to create a stable office environment where our family treats your family in a welcoming setting. 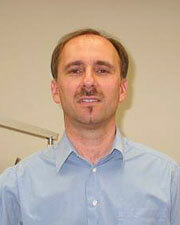 Dr. Frank Arcadi is a fellow graduate of the UBC class of 1988. Dr Arcadi maintains a separate practice at Dove Dental Clinic and we generally do not treat each others patients except on an emergency basis. Dr Arcadi has worked at Dove Dental Clinic since 1995 and patients can contact his office at (604)581-1622. Dr. Allison Becher is a graduate of the UBC class of 1997. As well as being my sister, Dr. A Becher is a part-time associate at Dove Dental Clinic. She usually works Wednesdays and one Saturday per month.